Playstation TV, a tiny streaming box released as PS Vita TV in Japan, will be coming to the US and Canada this fall for $99. 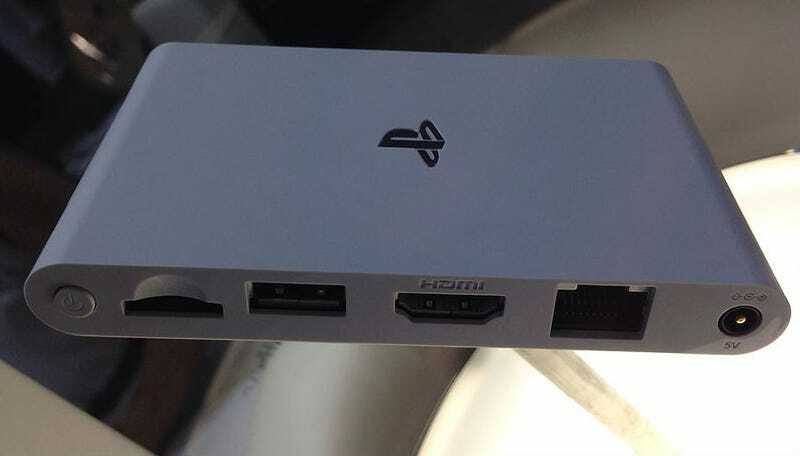 The tiny box will let you stream games from your PS4 proper to another TV in the house, while also letting you stream PS3 games and older classics via the forthcoming magic of Playstation Now, presumably with no PS4 required. Of course, that's on top of all the other things that a streaming box can do, like Netflix, and Hulu, and all the other streaming apps that the PS4 can handle. How effective the Playstation TV will be as a tiny game console revolves around how good the streaming is from the PS4 and through Playstation Now, but from what we've seen so far, the prospect seems promising.